With cricket now a religion, karate is yet another sport whose Indian champions go unsung. Meet Bangalorean M G Prasad, recent winner of an international gold medal. 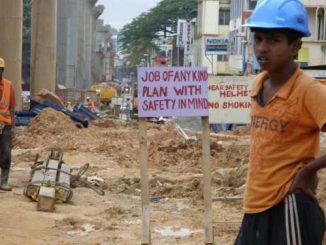 BBMP’s reinitiated plans to expand the ring road connecting Silkboard to Mysore Road from 100 feet wide to 150 feet has rankled residents and shopkeepers alike. 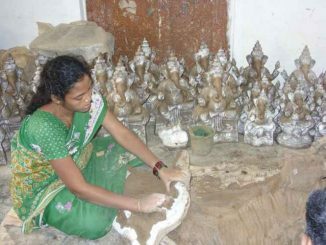 Swine flu may still be a dampener this time, but from Pottery Town to Jayanagar to N S Palya, preparations – idol making of all sizes to community celebration plans – are on in full swing for Ganesh Chaturthi. They are not very different from the rest of us, except for their foray into politics. Your next ward councillor may be in here, get a good look at these youth now. In a free-wheeling interview with Citizen Matters, major-league state politician R Ashoka, Transport Minister in the state cabinet, talks on a range of transportation issues including BMTC plans and new initiatives. While we read about the different courses and fascinating success stories, many of us wonder how career counseling can help? When do I go for counselling? Do I need counseling? We will try answer some of them for you here.